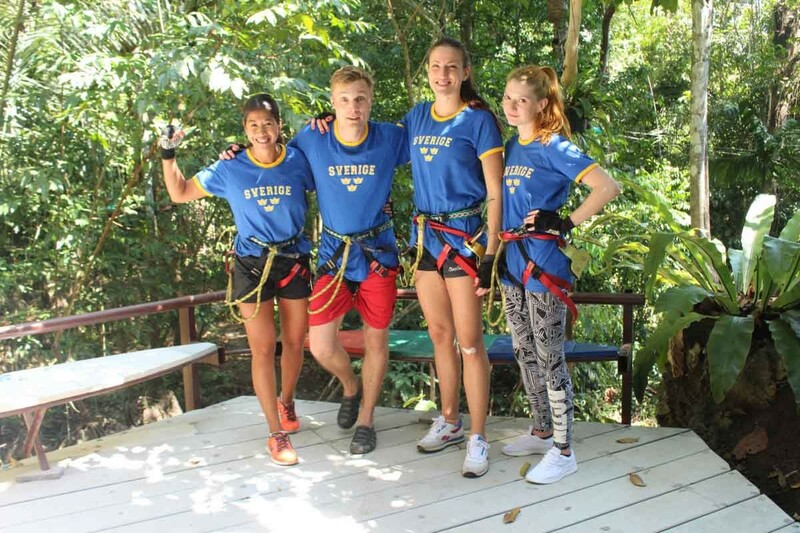 Come on and swing by on our “Monkey Swing course” with 40 exciting stations - zip lines and games over treetops and across the lake. 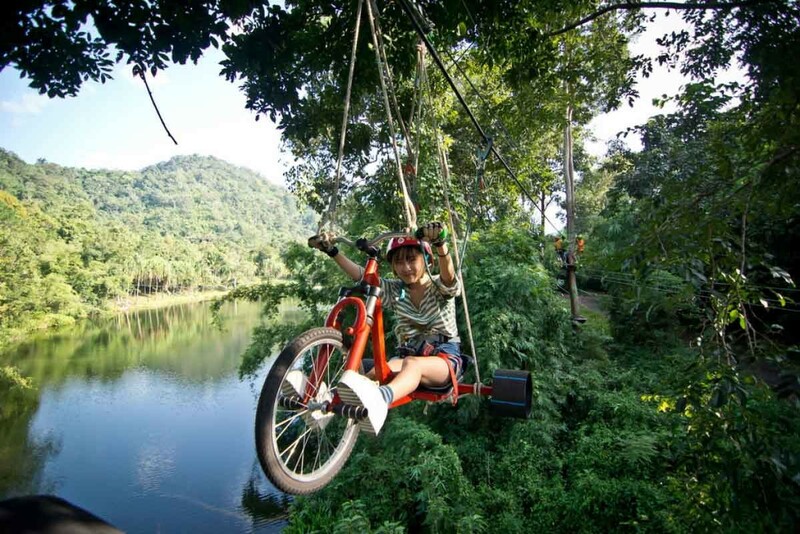 Ride a skybike in the canopy or swing from tree to tree like a monkey in the jungle. 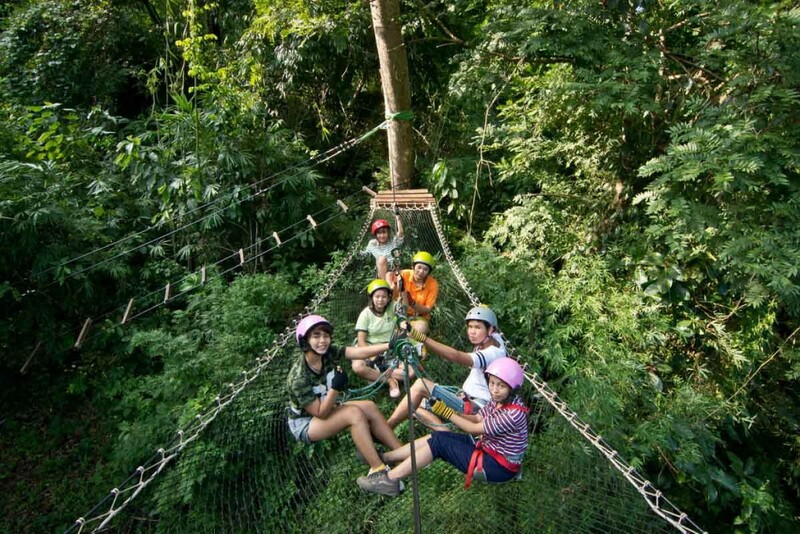 Take a break on our giant platform and lay down on our huge hammock to take in the cool breeze and shade. 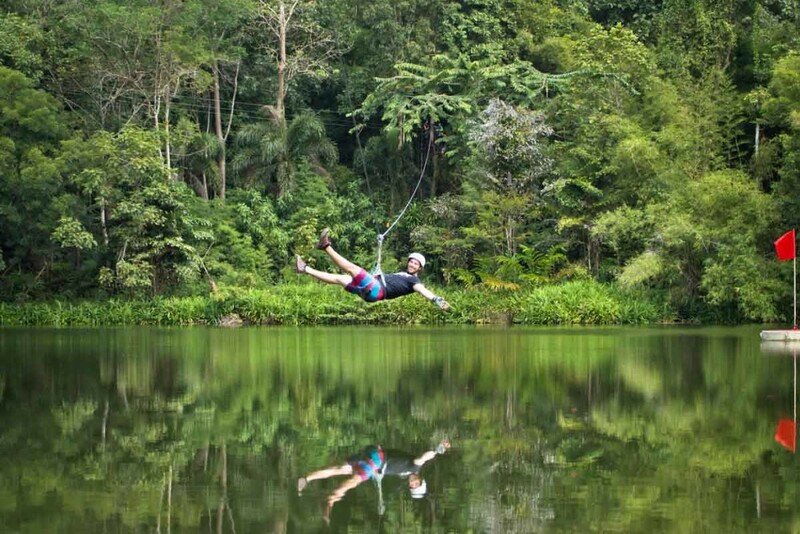 The highlight: A giant zip line stretching over the whole length of the lake. After you manage the last stretch our staff will offer you refreshments to cool down after this amazing adventure. 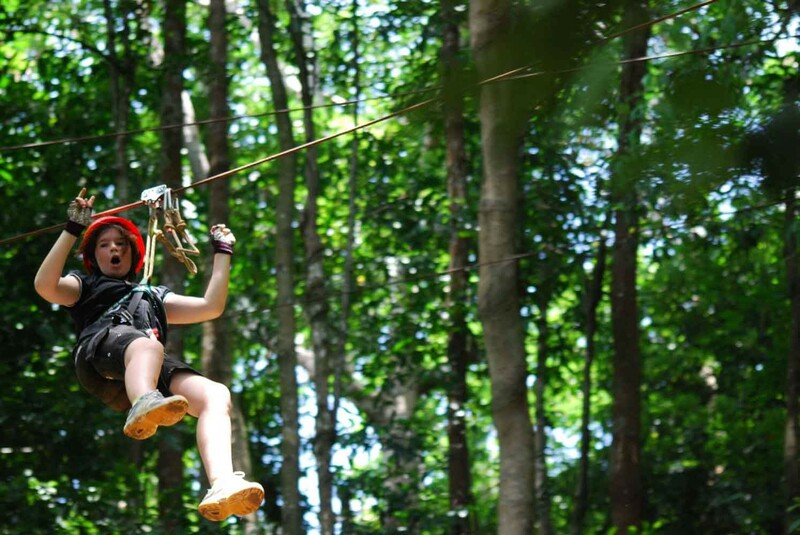 We will pick you up from your hotel in Kanchanaburi for an incredible half day experience which include lunch, refreshment, fresh fruits and a lot of fun. • Safety equipment and a lot of fun. an appropriate physical & mental development. 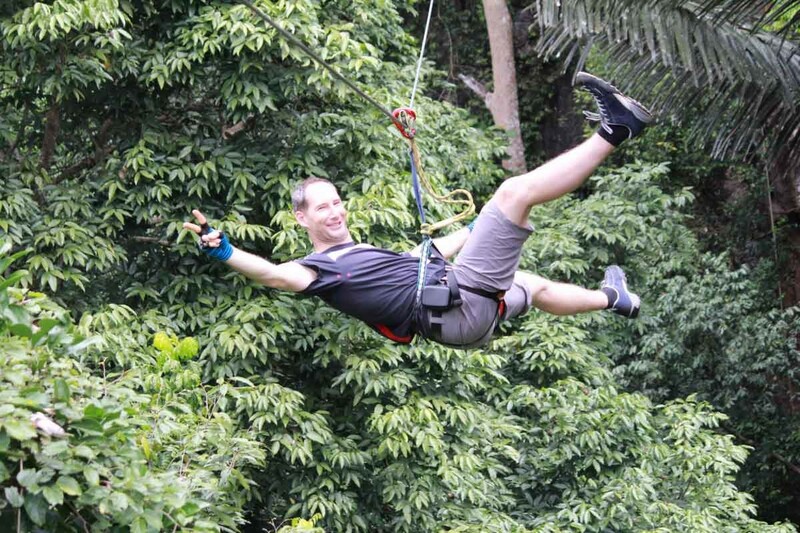 • Please wear comfortable outdoor clothing such as a T-shirt and shorts, Flat-solesneakers for walking on cable. No sandals allowed.